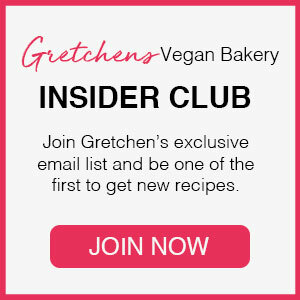 I’m changing up the holiday cookie platter offering this year with so many great ideas! Including this one for Cinnamon Bun Cookies! 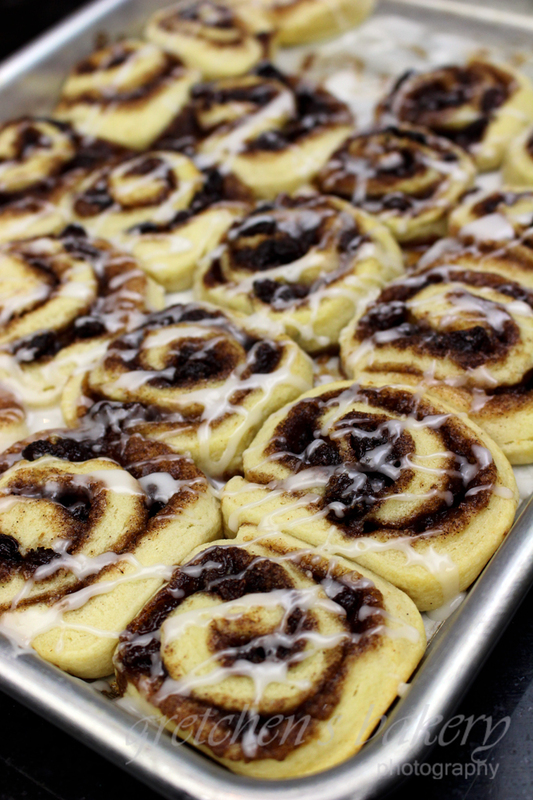 Filled with cinnamon sugar and raisins and then iced with the signature bun icing that will have people thinking they are eating cinnamon buns for real! But these are actually COOKIES! I love this cookie dough so much, it is the same dough I use whenever I make Rugalach, so naturally when I wanted to make a soft cookie that resembles a yeast pastry, I went for this one! These cookies are part of my 12 Days of Christmas Cookies recipe series this year! 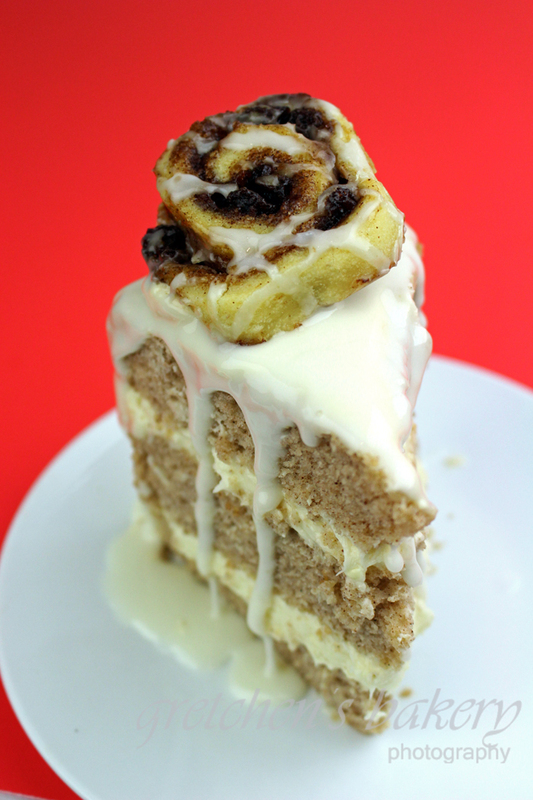 Pro tip: Make this recipe in Double so you can save out some cookies to make my amazing Cinnamon Roll cake next! The original recipe for this cookie dough called for egg yolks which I replaced with Vegan Egg by Follow Your Heart. I understand not everyone can get that product so I also tested it with The Plant based Egg by Freely Vegan with excellent results. If you do not want to buy it or cannot get it, you can sub in another proprietary blend egg replacer of your choice results may vary. Wrap the dough into 2 separate equal discs and refrigerate for at least 2 hours or overnight. 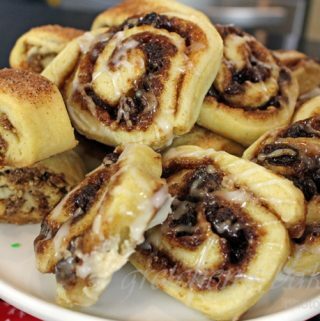 Once the dough has relaxed and is chilled, knead it (one disc at a time) on a lightly floured surface to form a rectangle that is 6" by 18"
These cookies look amazing and I so want to make them but I would also like to know if its possible to make theses cinnamon bun cookies non vegan? Have you ever tried making them non vegan and do you get the same end results? Would you just replace the 1 cup of Vegan butter for 1 cup salted butter? Would you replace the 8 oz Vegan cream cheese for normal 8oz Philly cream cheese? How would you replace the 2 Tablespoon Vegan egg and water part with? Would you bake at same temp and same time? I really love all your recipes…. be it vegan or non-vegan….!! When I was a beginner in baking… you and your baking videos were my mentors. Thank you for sharing with us…!! In India, Its pretty hard to find non-expensive egg replacers. Is there any way, we can make egg replacers at home? Could you please share them, if possible. Just finished icing my cinnamon bun cookies, they are delicious. What if you want to use regular eggs and not a vegan subs… What would you use in this case. 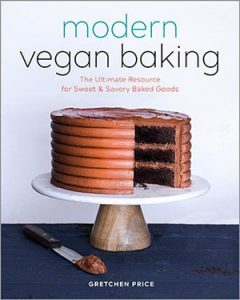 I have been following you since you started and the Woodland Bakery Days and love everything you do, but I can’t find all the vegan stuff where I live.